These are professional quality graters which have been designed for Australian conditions, with custom designed features not found in other graters on the market. • Grate Over any Bowl: Custom designed bowl locator arms to allow safe horizontal grating directly into your bowl. • Clean-Cutting Acid Etched Blades: Finest quality, long lasting stainless steel cutting blades. Sharper than traditional laser cut blades, these acid etched blades afford effortless grating and slicing. 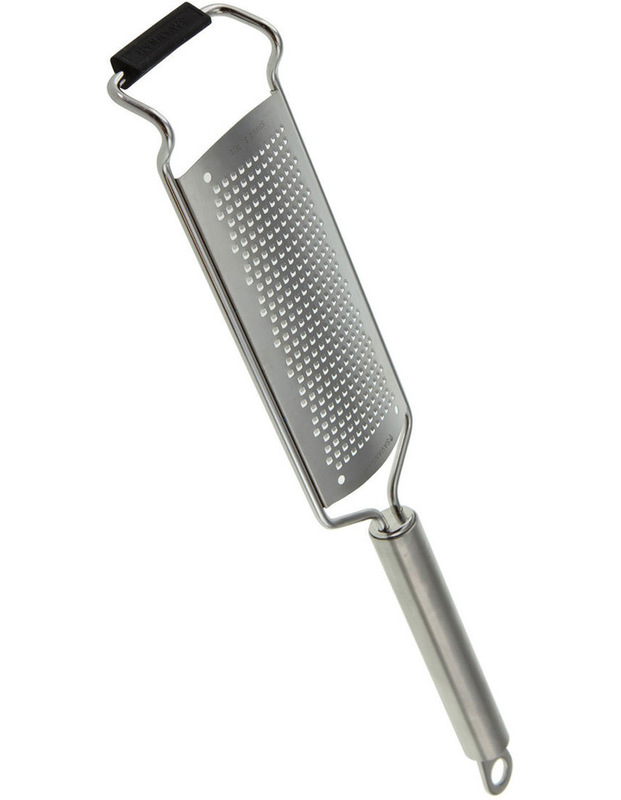 • Solid Stainless Steel handles: Dishwasher proof, solid state 18/10 stainless steel handles. Backed by a 10 Year Guarantee.